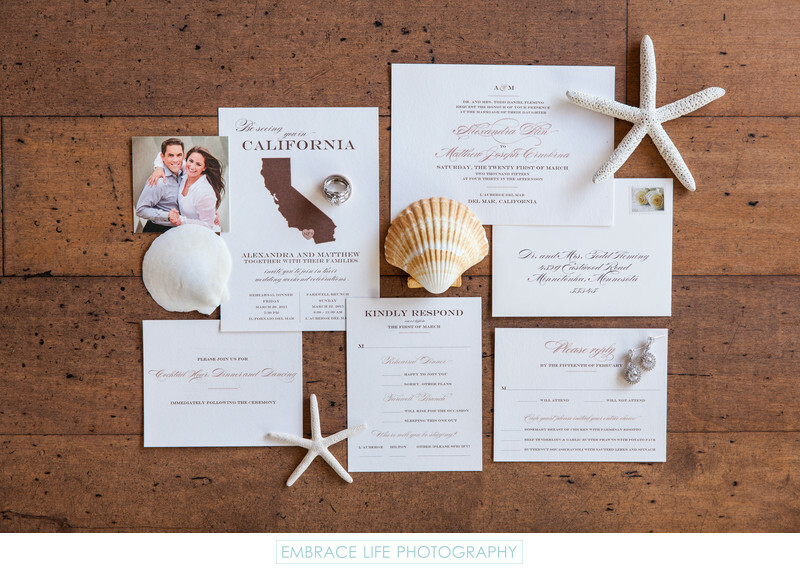 At this L'Auberge Del Mar wedding in San Diego, California, the invitation stationery was neatly arranged with seashells and starfish, and photographed on the textured wood floor of the San Diego wedding venue's lobby with the bride's earrings and the couple's wedding rings. While certainly not the most important wedding photograph, this image captures the couple's names, wedding date and location, and tells a little story about the beach wedding location through the clever use of decorative elements found in the hotel room. This beautiful wedding was featured by Carats & Cake.